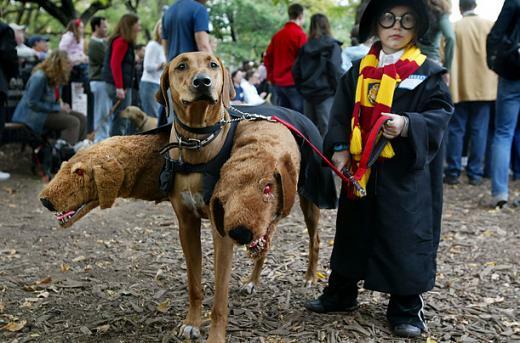 Looking to celebrate Halloween with your pet this year? Here are a few fun activities for this weekend. Please comment if you know any other pet-friendly Halloween celebrations this year! 3 winners of Mad About Pets Clean+Green giveaway announced! Thanks to everyone who entered Mad About Pets' October giveaway of Clean+Green Dog & Cat Carpet and Upholstery Cleaner. The response was awesome!! You will each be receiving a can to try out for yourself, directly from the company. Make sure to keep reading Mad About Pets for more great reviews, events and contests! During the day, I work in a small office in county government. My coworkers and I like to talk sometimes about how much more fun the workday would be if we had a resident cat or dog. We're all animal people here in the office, and we enjoy daydreaming about the fun and companionship a resident pet would bring to our office. Though we're likely never to get our wish (unfortunately! ), the Spencer Public Library certainly did in the chilly winter of 1988. A small bundle arrived in their metal book-drop...a tiny kitten. This kitten was christened "Dewey", and became the official companion, mascot, and inspiration to patrons of Spencer Public Library. Dewey's Nine Lives is the amazing story of how a tiny kitten brought love and magic to a community that needed him as much as he needed them. 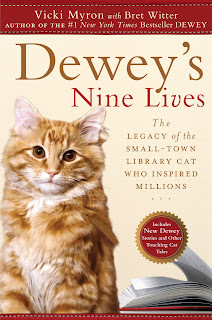 Dewey's Nine Lives: The Legacy of the Small-Town Library Cat Who Inspired Millions is the follow-up to the 2008 #1 bestseller Dewey: The Small-Town Library Cat Who Touched the World. The book sold over 1 million copies in hardcover, spawned three children’s books, and became the basis for a film adaptation that is currently in development, with Meryl Streep in the lead role. Dewey's Nine Lives, by Vicki Myron and co-writer Bret Witter, contains two new stories about the beloved Dewey, as well as seven other tales of amazing true-life cats of fans who were inspired to share their experiences with Vicki. All you need to do is leave a comment on this post telling me about how your pet or another special animal has changed your life for the better. Please leave a separate comment for each additional entry to state you have completed the requirement. I highly suggest that you leave your email address in your comment(s) so that I am able to contact you ASAP if you're a winner. If I cannot contact the winners within 3 days, I will have to draw a new winner. The giveaway begins today and ends at 11:59 Central Time on October 22, 2010. I'll then be drawing 3 random winners from all the entries. This contest open to residents of the USA and Canada, only. The Wisconsin Dog Fair is an amazing event held every year right here in Madison. The event features activities, demonstrations, and examples of almost every breed of dog imaginable. 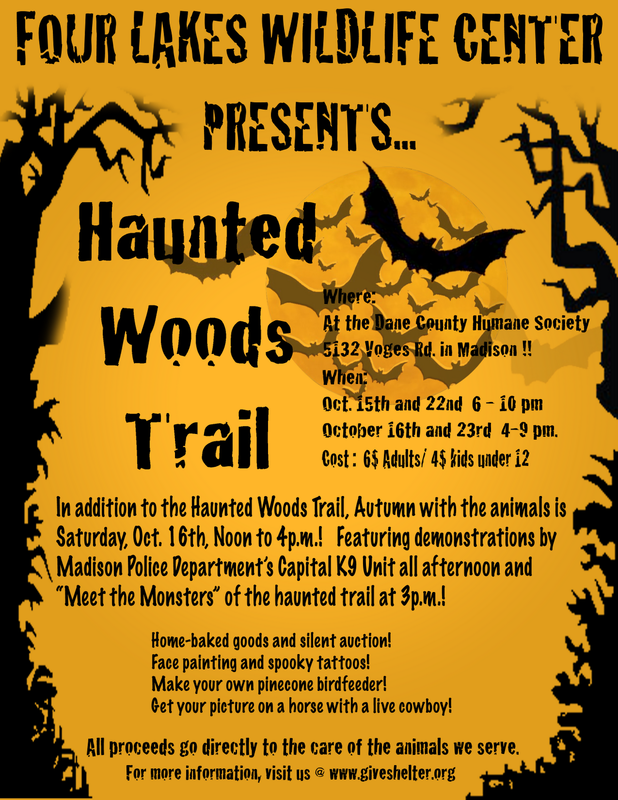 Mad About Pets was lucky to score an interview with Pat Discher, a representative of Badger Kennel Club, to get the inside scoop on this very popular event to be held November 7, 2010. Please tell us a little about Badger Kennel Club, the organization behind the Wisconsin Dog Fair. The Badger Kennel Club consists of about 100 individuals that love dogs! We have come together over the years to share this canine affection with other people of like minds. As you can imagine with a membership this vast, the interests vary greatly from those that have one pet and wish to do meaningful activities with it to members who actively compete in the many areas of the "sport of dogs". Breeders make up a good part of our membership as well. What is so great about the BKC is that there is something for everyone that meets their needs and wishes. We offer classes in obedience, rally, agility, conformation, puppy socialization and kindergarten, therapy and Canine Good Citizen and often other specialized classes such as attention, tricks, and freestyle. The neatest part about our classes is that they are all taught by volunteers. These volunteers account for hundreds of years of training experience and can't be topped. How did the Wisconsin Dog Fair get started? The Dog Fair started 22 years ago as a means to educate the general dog-loving public to the many aspects of living with and training their family pet. It started in the center of a Mall and has outgrown several places, each time, increasing in physical size to handle the increase in offerings added. For the past 4 years we use half of the Alliant Center and that's full!! What kinds of demonstrations, events, etc. can attendees of the Wisconsin Dog Fair expect? One of the big draws is the approximately 160 different breed representatives. These people are owners/breeders that love to talk about their breed, telling people about all aspects of their dogs. Then you there will be about 90 vendors that will be either selling dog products, promoting various dog related organizations or representing rescue groups. In the demonstration line of activities you find obedience, frisbee, tricks, carting, Sheriff's Department K9, rally, earth dog, lure coursing, agility, Junior showmanship and mushing. These will all be in ring 1. In ring 2 you find breed parades for each AKC group of dogs, including one for the Miscellaneous group and rare breeds as well as a parade of rescued dogs. And to top off all of this there will be 1/2 hour seminars in Eastern Medicine, Vaccines, Puppy socialization, grooming, and adding a dog to your family. Every year a Dog Hero is acknowledged and award a special plaque. How much is admission, where is the Dog Fair located, and when will it be held? 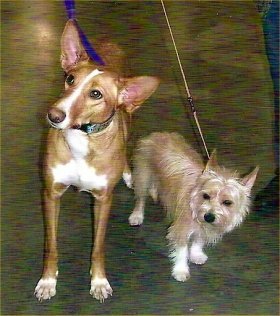 The Dog Fair is held on Sunday, Nov. 7, 2010 at the Alliant Convention Center (1919 Alliant Energy Center Way, Madison, WI) in Halls C and D. The hours are from 10am - 4pm. The admission fee is $7.00 for adults, $5.00 for seniors, $1.00 for children and under 5 are free. The Dane County Fairgrounds does charge for parking but attendees can download a Free Parking Pass from our website: http://www.badgerkennelclub.com/ or pick one up at one of the area Mounds Pet Food stores. Make sure to mark your calendars for the Wisconsin Dog Fair: it's sure to be a blast! 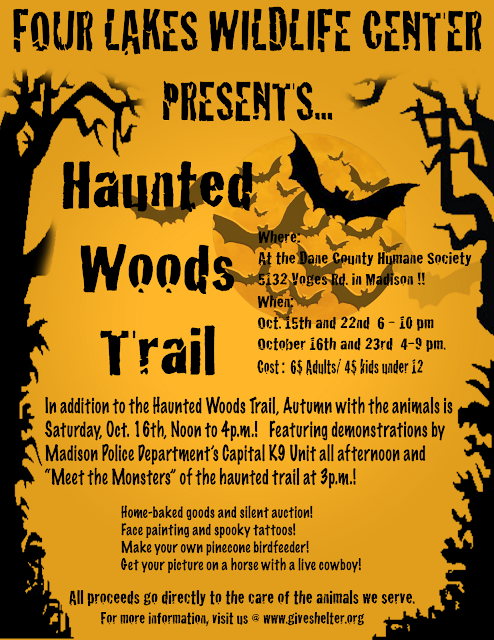 Join Dane County Humane Society's very own Four Lakes Wildlife Center for Autumn with the Animals! *All proceeds go directly to the care of the animals we serve. 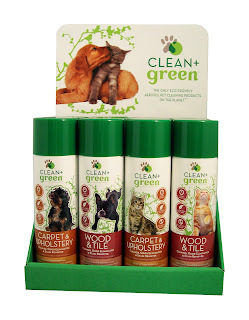 Clean+Green Dog & Cat Carpet & Upholstery Giveaway! As you might remember from my earlier review, Mad About Pets is a big fan of Clean+Green products by Seayu! With the huge increase in interest in "green" products, Clean+Green products are an absolute must for any pet owner: they're effective, non-toxic, and organic. There is a full line of products to accomodate any surface, so the perfect stain and odor remover is always at your fingertips. All you need to do is leave a comment on this post telling me about your pets and why you'd like to win! The giveaway begins today and ends at 11:59 Central Time on October 10, 2010. I'll then be drawing 3 random winners from all the entries. This contest open to residents of the USA and Canada, only.